Figure 4. Basildon Park, Berkshire. This study will probe these themes by focusing on a single service, which belonged to Francis Sykes in the late eighteenth century and was probably used at his country estate, Basildon Park in Berkshire. The son of a prosperous and well-established yeoman farmer, Francis Sykes became an important East India Company official. While in India he maintained a substantial household, which (like Henry Russell, featured in the Swallowfield Park case study) shaped his later experiences of British country house living. Writing to his mother from Murshidabad in September 1767, Gerard Gustavus Duccarel (1745-1800) described how he was working in the service of Francis Sykes and had found that his employer had little patience for the hot climate. Sykes and his party had thus ‘removed for the summer to a pleasant country house about 7 miles from the City in the middle of a beautiful plain’. A fine grove of tall trees meant that those resident were able to ‘play at bowles there in the middle of the day without the least inconvenience, and spread our tables either there, or in the house, as the variety is more or less agreeable’. Francis Sykes first came to practice country living in Britain on his return to England in 1761. On this visit Francis took two years to purchase Ackworth Park, near Pontefract in Yorkshire. Originally from Yorkshire, Sykes used his residence there to reconnect with family and acquaintances in the West Riding area, particularly the powerful Monckton family with whom he forged a closer alliance when he married the Hon. Elizabeth Monckton, eldest daughter of the 2nd Viscount Galway, in 1774. 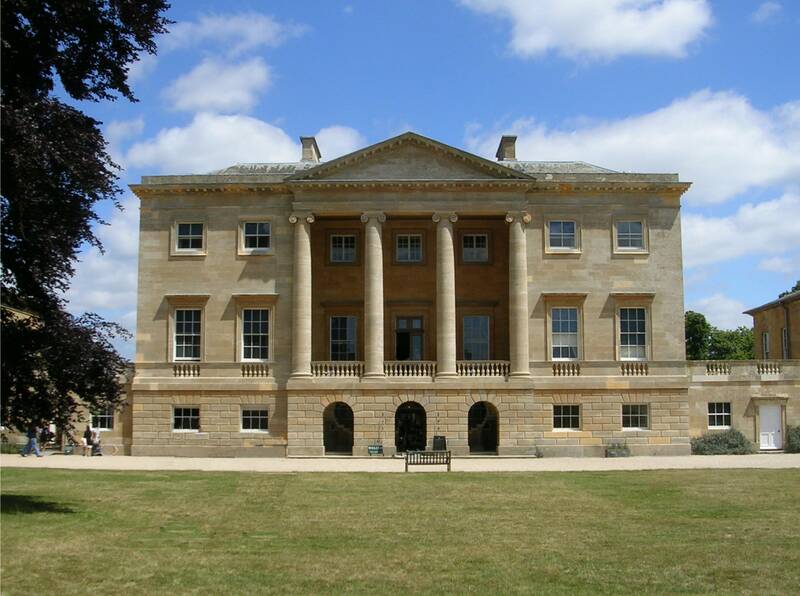 After his second return to England in 1768, Sykes consolidated his place as a member of the landed elite in 1771 when he purchased Gillingham Manor Estate in Dorset (primarily to acquire political influence) and Basildon Park in Berkshire. In June of that year, Sykes wrote to Harry Verelst from Basildon about his ‘delightful situation in a large house with many servants and no one to keep me company at present but my two dear little boys’. Despite his seeming contentment in 1771, by 1776 Sykes had begun to employ a fellow Yorkshireman John Carr (1723-1807) to oversee the rebuilding of Basildon. The Palladian villa with wings that he created still stands today (see figure 4). Figure 5. Scalloped-edge plate from armorial Chinese porcelain service, Qianlong reign (1736-96), c.1765-70. Basildon Park, National Trust Collections. Image courtesy of Kate Smith. Sykes’s rapid accumulation of wealth in India enabled him to purchase and then rebuild Basildon Park. As noted above, he worked for the East India Company in Bengal between 1751 and 1761 and then again between 1764 and 1769, returning to England with an estimated fortune of between £250,000 and £500,000. 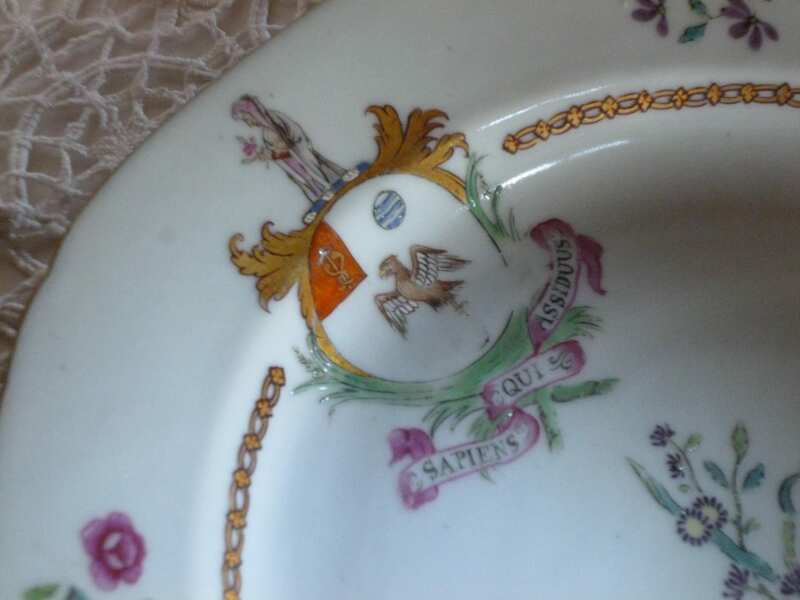 [For more on Sykes’s work in India see The Indian Seal of Sir Francis Sykes case study, written by Sir John Sykes] Current catalogues suggest that it was during his second stint on the subcontinent that Francis Sykes commissioned and purchased an armorial porcelain service. This dating seems likely as on his return to India Sykes would have had the necessary contacts, wealth and position to order an armorial service, the commission probably being carried out through country trade. Such timing is also made more plausible by his being granted arms in 1763. His purchase followed the grant (1763) but preceded his baronetcy (1781). The armorial porcelain service probably commissioned and completed for Francis Sykes between 1764 and 1769, is one of the few objects in the present-day Basildon Park collection, which links the house to its eighteenth-century past. To learn more about the purchase and return of part of the service to Basildon in the 1980s listen to this interview with Neil Shaw (House Steward, Basildon Park) and Sir John Sykes (descendant of Sir Francis Sykes). It is also possible to view the service in the dining room at Basildon Park, for more details about opening times see http://www.nationaltrust.org.uk/basildon-park/. Margot Finn, ‘Swallowfield Park, Berkshire’, The East India Company at Home, 1757-1857: http://blogs.ucl.ac.uk/eicah/case-studies-2/swallowfield-park-berkshire/learning-to-furnish/ (2012). Gloucester Record Office, Letter from Gerard Gustavus Ducarel to his mother, 18 September 1767, D2091/F11. Many thanks to Sir John Sykes for this reference. British Library, European Manuscripts Collection, Letter from Francis Sykes to Harry Verelst, 21 June 1771, F218/108, ff. 7-8. Francis Sykes marked the letter as being sent from ‘Baseldon’. Basildon Park, Berkshire (Warrington: National Trust, 2002), p.19.